Returning to Turkey from exile in the West, Ka is driven by curiosity to investigate a surprising wave of suicides among religious girls forbidden to wear their head scarves in school. But the epicenter of the suicides, the eastern border city of Kars, is also home to the radiant and newly divorced Ýpek, a friend of Ka’s youth whom he has never forgotten and whose spirited younger sister is a leader of the rebellious schoolgirls. As a fierce snowstorm descends on Kars, violence between the military and local Islamic radicals begins to explode, and Ka finds his sympathies drawn in unexpected and dramatic directions. 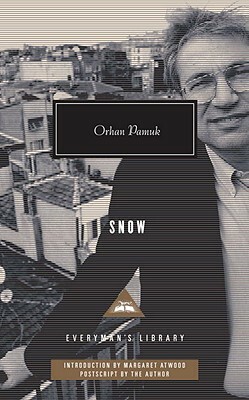 Orhan Pamuk was awarded the Nobel Prize in Literature in 2006. The author of The Museum of Innocence, Istanbul, and My Name Is Red, he lives in Istanbul and New York City.